This past weekend I had the pleasure of helping my sister host a baby shower. We had some cups left over and in the blur of exhaustion set the cups down on the floor by the front door. Days later (don’t judge me) I finally picked up the cups. Did I mention we have a dog, a various curious dog who I am sure put her nose in the cups. 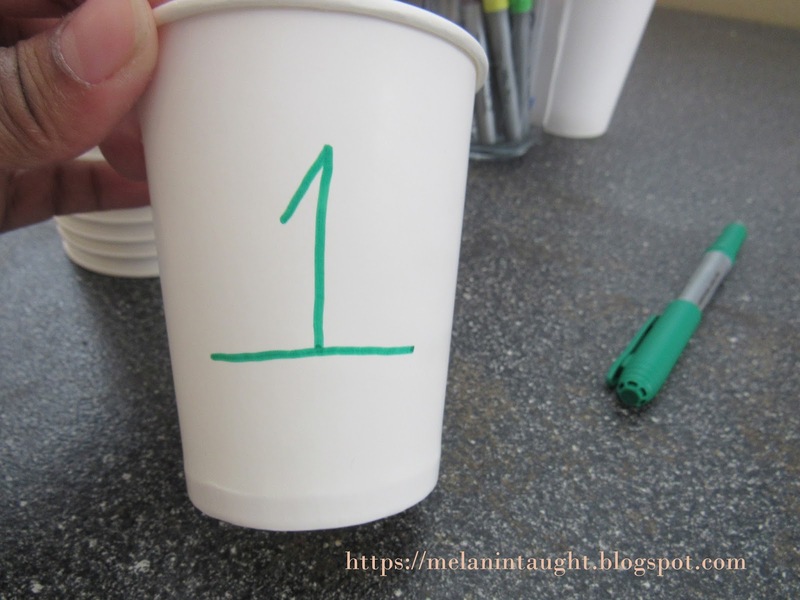 So what was I to do with these paper cups? Games! 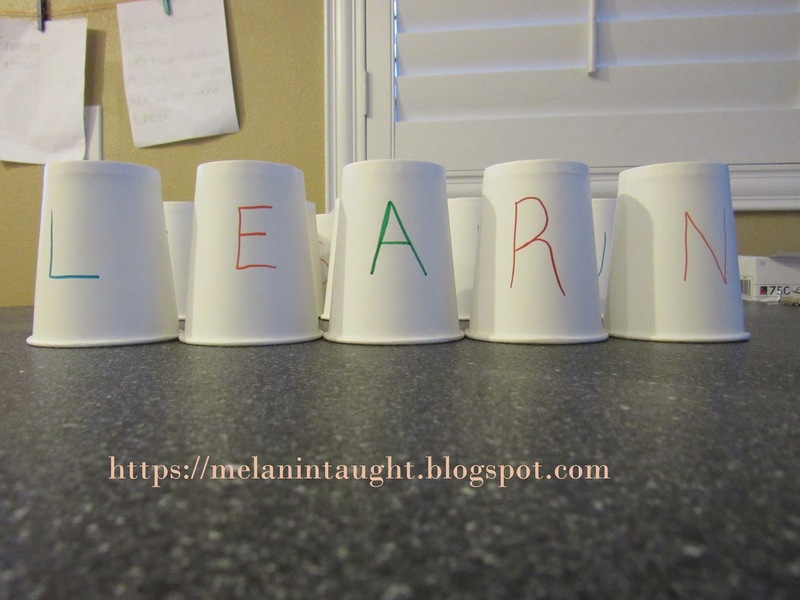 I took the cups and put letters and numbers on them. I told the kids it was game day and I set the game rules they had a blast! 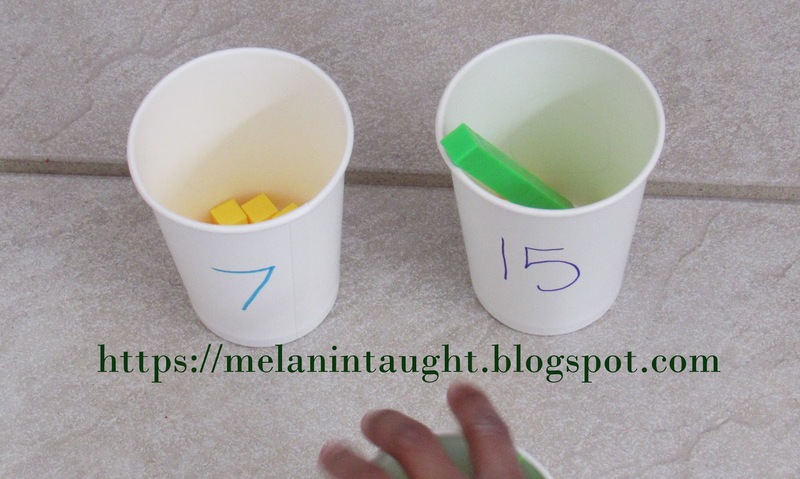 For the Math Game we used our Base Ten blocks and put the appropriate tens and ones inside the cup to make the number. As the kids filled the cup I would stack them. They loved seeing the stack grow as a mark of their accomplishments. 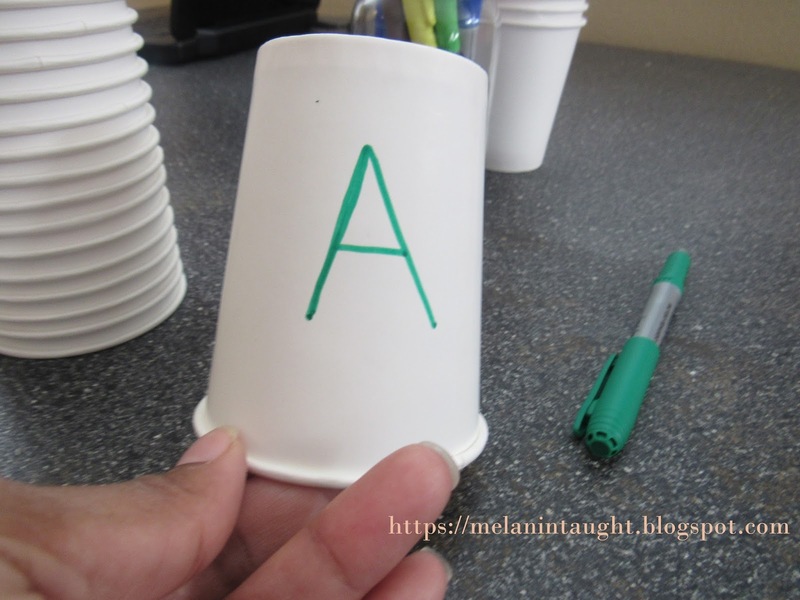 We then flipped the cups over and used the letters to make words. Once the kids discovered a word I would write it on the white board. My kids are motivated by praise and a sense of accomplishment so seeing there progress is important for them. 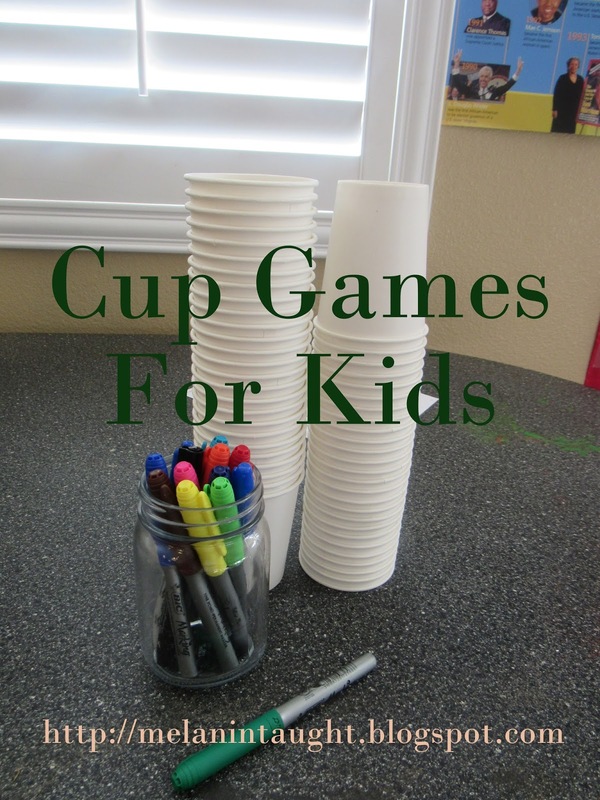 I hope you and your kids enjoy these cup games!